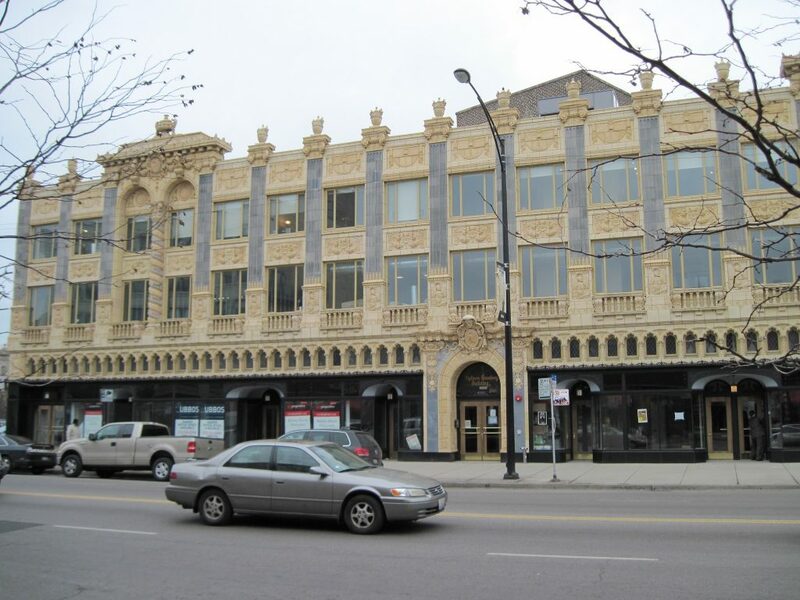 Located near the north edge of Chicago, right by the lake shore, Uptown has offered a rich culture for decades. With a distinctive art deco look, Uptown offers brand new restaurants and bars alongside performance venues that have been city institutions for over a century. Uptown covers a range of communities, but wherever you’re headed, you’ll probably live in a historic brownstone or a refurbished hotel from the 1920s, and you’ll absorb a breezy, lively atmosphere as you walk to the store, the train, and the nightlife. As your go-to Uptown movers, we’ll help you get wherever you’re going. About 42,000 people total live in Uptown, including a few more men than women. About a quarter are married: just under an eighth have children. The median age is close to 40, median income is 65k, and many adults are college educated. Originally a beach getaway for Chicagoans, Uptown was eventually absorbed into the city as more businesses developed and full-time residents settled there in the first decades of the 20th century. During this time, Uptown became the original site of the American film industry, then the career launch point of many important entertainment figures. While the area underwent some economic shifts throughout the century, Uptown is now a diverse and thriving neighborhood. Now you’ve got the gist, here are some highlights—and basics—we found to help you start your best Uptown life. Montrose Beach: A popular stretch of lake front. Lincoln Park: Easily access green space and other features. Broadway Armory Park Fieldhouse: Huge indoor space for recreation and classes. Vintage Garage Chicago: Monthly flea market for vintage vendors. Aragon Ballroom: Independent, historic performance venue. Riviera Theater: For mainstream concerts. Green Mill Cocktail Lounge: Serious, long-running jazz club. Pizza: Uptown Pizza and BBQ. Long-running family operation. Delivers. Chinese: Sun Wah BBQ. Serves alcohol. Carry out. Vietnamese: Uptown Pho. Vegetarian friendly. Delivers. Thai: Siam Noodle and Rice. Operating since 1987. Ethiopian: Demera Restaurant. Michelin recommended. Live music. Mexican: Carmela’s Taqueria. Classic tacos, burritos, tortas. Delivers. Vegan: Loving Heart. Ethically-driven light and hearty fare. Comfort Food: Fatcat Bar. Also great for pre-concert meals. Diner: Golden House Restaurant. Independent pancake house. Brunch: Tweet. Lots of gluten-free options. Cash only. Cocktails: Larry’s. Signature twists on classic mixes. Food: The Reservoir. Carefully chosen menus and decor. Groups: The Bar on Buena. Food and drink specials, dog-friendly patio. Game Watch: Michael’s Original Pizzeria and Tavern. Classic pies, 30+ HDTVs. Rainbow: Big Chicks. Welcomes all orientations. Food and shows. Retro: Holiday Club. Lounge, bar food, and dancing. Late Night: Uptown Lounge. Casual and friendly. Open til 4. Aldi: Quality brands at discount prices. Uptown Shop & Save: Open 24/7, includes cafe. Heritage Outpost: Coffee bar offshoot of Heritage bike shop. Two Uptown stores. Everybody’s Coffee: Homemade pastries and community events. Uptown Fitness: Equipment, classes, daycare and outdoor pool. Broadway Armory Fieldhouse: Equipment and classes. Clarendon Park Community Center: Includes fitness center. Puptown Dog Park: Community effort inside Margate Park. Challenger Bark Park: Dog friendly area, Challenger Park. This has been a tiny sampling of the great things you’ll experience at your new Uptown home. As a seasoned Uptown moving company, we’ve learned all about the staples and cool places in the area. We’re happy to share more! As you’re planning your big move, cross one major thing off your to-do list, and book Uptown movers who’ll a take load of stress off your mind. Call us at New City Moving, and we’ll help you move safely, smoothly, and on-schedule, so you can settle right in and start living your greatest Uptown life.